The use of the HowToPlayPoker.co.uk website is for entertainment purposes only. The articles, tips, reviews or any other content posted on HowToPlayPoker.co.uk or its partner sites are intended for entertainment and general information only. This information is in no way to be taken for recommendations for gambling online or the purchase of any product or service. This information is not to be used while engaging in any activity which would be deemed illegal according the laws in your geographical area. HowToPlayPoker.co.uk will not be held responsible for any information or content and we do not guarantee the accuracy of any information on HowToPlayPoker.co.uk or its partner websites. Further more we are not liable for miss-information from any content on our web site. It is to the best of our knowledge that all poker rooms listed on HowToPlayPoker.co.uk, whether advertised or not, should not be in the business of accepting payments from US based credit card companies or financial institutions in accordance with US Internet Gambling Laws. While some online poker rooms will continue to allow US residents to play, you must understand that online gambling may be illegal in your area. 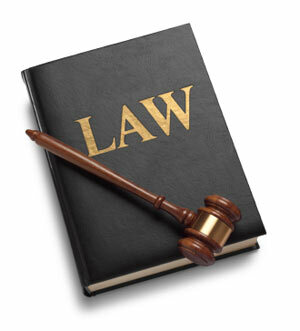 We recommend that you check with current laws in your area before playing at any online poker room or casino. Online poker, gambling must be legal in your town, state and country of residence, you must be of legal age to gamble and pay applicable taxes in your town, state and country of residence. It is your responsibility to know if you are following your local laws! HowToPlayPoker.co.uk does not condone, in any way, playing poker online where it is deemed illegal to do so. All content on HowToPlayPoker.co.uk is copyrighted and may not be copied or used without prior written consent from HowToPlayPoker.co.uk and it is a violation of applicable copyright and/or trademark laws to do so. HowToPlayPoker.co.uk offers links to third party gambling based websites and is not responsible for any information found on any site we link to whether directly or indirectly. Some links may directly be related to gambling sites that offer real money wagers and HowToPlayPoker.co.uk is in no way liable for any loss resulting from any site advertised or linked to. HowToPlayPoker.co.uk, including its management and staff, disclaims liability for any loss, howsoever caused, arising directly or indirectly from the content of this website. You hereby acknowledge that any reliance upon any materials found on this website shall be at your sole risk. HowToPlayPoker.co.uk may at anytime alter or revise these conditions without prior notice. By using services or information on HowToPlayPoker.co.uk you agree to these terms.